Thank you to everyone who’s been supporting our social events recently. There have been a lot of them and we know you can’t get to them all. There are still more events to come this month. We always like to see new faces so do take a look at what we’ve organised. Most importantly, we have our General Meeting on 7th May at The Hob. This is a chance to discuss the major issues facing SE23 (I guess the Pools might crop up) and the way forward for the Forest Hill Society. If you’d like to become more actively involved in the Society’s work – in whatever capacity – do make yourself known to us at the meeting. 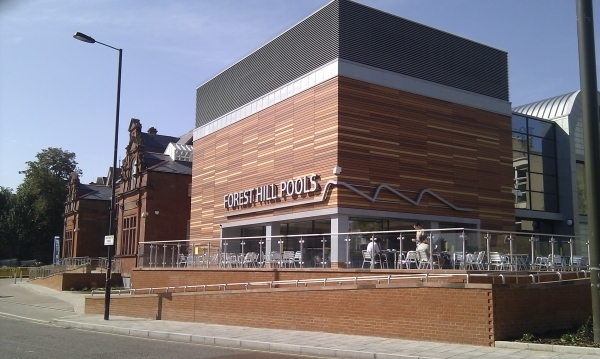 You should all have received a consultation form the Council asking for your views on the future of Forest Hill Pools. At the end of this email, we’ve included a message from Hilary, one of our representatives on the Stakeholder Group, explaining more about the Society’s position. Thursday 7th May - General Meeting. 7.30pm at The Hob pub opposite Forest Hill Station. We’ll be upstairs and the bar will be open so there’ll be plenty of opportunity to socialise as well as take part in the more formal part of the evening. Doors open from 7pm. See you there. The Thai Orchard, 3 David’s Road SE23 3EP Phone 8291 3901. Please book directly with the restaurant making it clear you’re with the 23 Club or Forest Hill Society. We look forward to seeing you there. By now all of the households in Forest Hill, Perry Vale and Sydenham Wards should have received Lewisham Council’s latest questionnaire on the future of Forest Hill Pools. This consultation is about whether people think that a pool is better in Dartmouth Road (with a bit of a wait) or Willow Way (which they think can be delivered sooner). It also asks questions about how often people use the pool and their age group etc. If you have lost, recycled or someone else in your household has already filled in the printed questionnaire, then it is available to complete online. • That the pool should be delivered as soon as possible, and certainly much before the 2015 date that the Council set out in the questionnaire. The Council says in the questionnaire that the Willow Way site can't be used to cross subsidise the pools on the Dartmouth Road site because housing is not going to be an acceptable use for this site, given its current designation as an employment site. So this leaves us with a bit of a difficulty as neither of the options as they are presented in the questionnaire really meets the needs of Forest Hill. A number of the FHS Executive have been working to try and get the Council to reconsider the current options as they stand. The work that has been done indicates that it may be possible to redevelop Willow Way for live/work development or mixed uses including employment and that this development COULD then be used to cross subsidise a new swimming pool on the Dartmouth Road site. It may not meet the whole funding gap that has currently been identified but it may well go some way towards doing so. In that case, it may be possible to deliver a new pool on the current site much sooner than 2015. We also think that if the responses to the questionnaire support the idea of a new pool on the current site then it may be possible to persuade the Mayor to reconsider the current options on the table and work to find a solution that delivers it sooner. If anyone has any questions about the Pools project and the Council’s current consultation then please let us know. 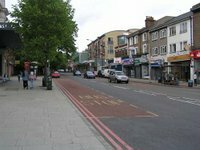 We are very keen that Forest Hill has a pool back soon and that it is in the best place for the majority of residents of this part of Lewisham and for the regeneration of our town centre.